Hyde Park would be great Liz. It is a pity it got rained out last time and we did not get the chance to even start sketching the War Memorial. There is so much to sketch in the area. But love the snippets of your day . Looking forward to the other sketches. How many people braved the weather? 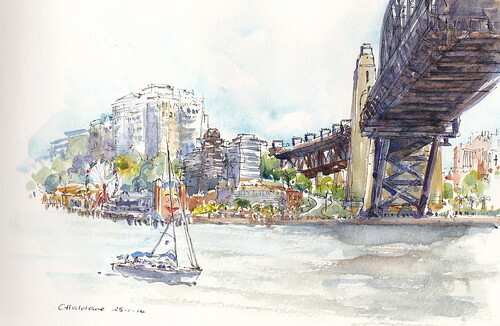 Cockatoo Island is a good place for a sketchcrawl. easy access, food, shelter and fantastic sketching opportunities ! 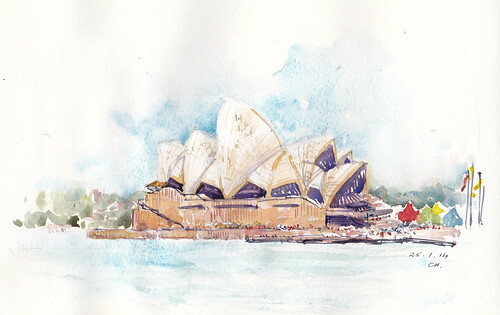 Are there any plans emerging for Sydney yet?